We provide photo booths for every type of event. 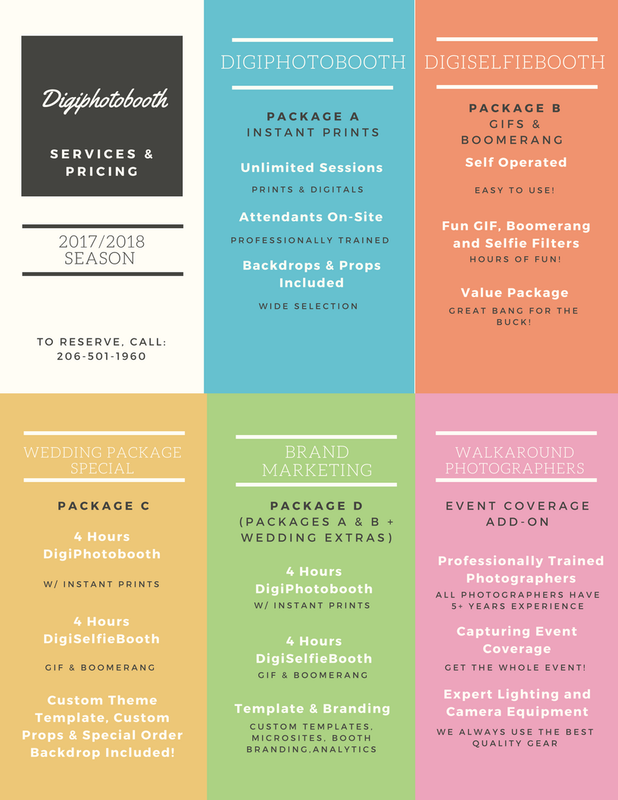 Whether you want a stand-alone selfie booth for your guests to just 'plug and play', or have a whole setup with on-site prints professionally managed by one of our trained attendants, we have various options to help you get the right Photo Booth for your event! Looking for a walkaround photographer to capture the event as it goes on? Our trained professional photographers will provide event coverage for your upcoming event. We use Professional Canon & Nikon gear with High-End glass lenses and professional lighting to make you and your guests look their very best! All photos are available for download by guests the next day on our online gallery. Want More or Less hours, or something not listed here? Send us an email with what you would like, and we can setup a custom package just for you!